Over the past couple of years, we have seen many top hotels making its way into our shores. 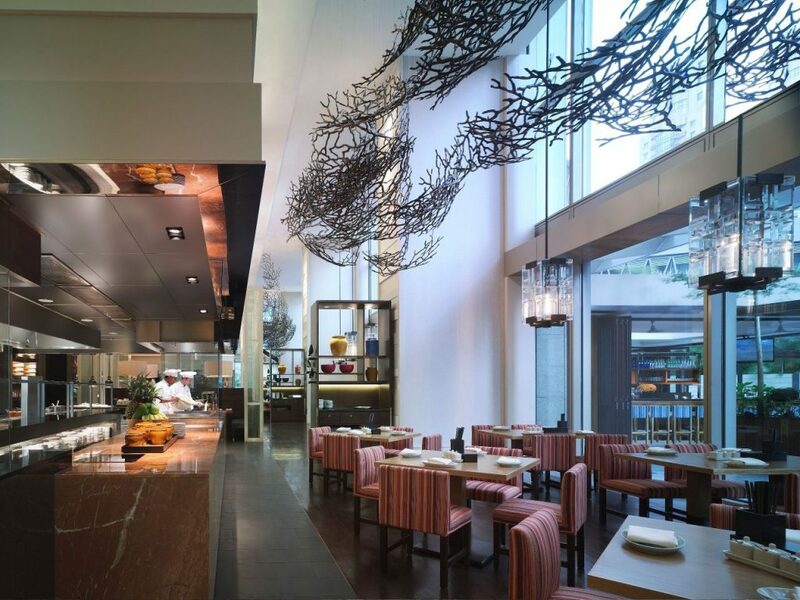 While this offers Malaysians and outside travellers much variety, there are some that should not be overlooked; one of it includes Grand Hyatt Kuala Lumpur. Having been part of the KL city landscape for the past six years, Grand Hyatt Kuala Lumpur is considered as one of the more established hotels around. Expect nothing less than top-notch service while still retaining a comfortable and relaxing atmosphere from the moment you walk through its doors. The Grand Hyatt Kuala Lumpur is also Mariah Carey’s choice of stay during her most recent visit to KL for her live concert. But what makes Grand Hyatt Kuala Lumpur such a hotel worth spending a night or two with? It’s unobstructed views of the city as well as the KL Twin Towers, Malaysia’s architectural pride and joy. 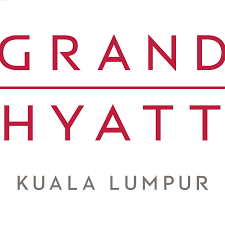 Grand Hyatt Kuala Lumpur is located just a stone’s throws away from some of KL’s most popular landmarks, making it a strategic location for travellers and local guests. Enjoy the views of the twin towers which is situated just eight minutes by foot. Being so close by means that you can check out the Suria KLCC mall, one of the premier shopping destinations in town. It is also nine minutes walking to Pavilion Kuala Lumpur, another shopping mall that many tourists flock to all year round. With a total of 411 rooms and suites available, Grand Hyatt Kuala Lumpur ensures that each and every room is the biggest in-room size as compared to other five-star luxury hotels around town. 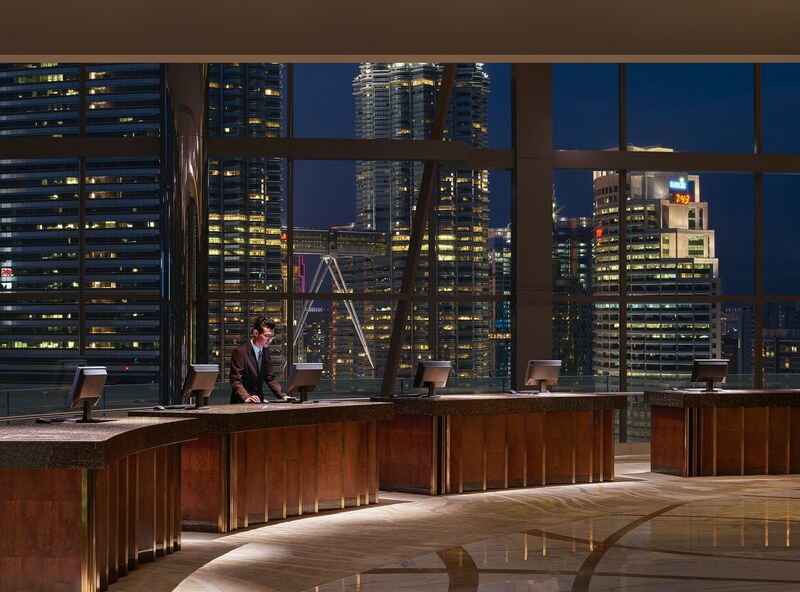 For its rooms, Grand Hyatt Kuala Lumpur offers two different views for guests – either the garden view of the KLCC park, or the tower view of the famous skyscraper. The suites, on the other hand, are another level of luxuriance entirely. Ranging from a Diplomat Suite to a Presidential, Grand Hyatt Kuala Lumpur has you covered if you are ever planning for an extravagant staycation. The Deluxe room offers a wide panoramic view of KL city due to its many tall windows, allowing for the natural sunlight to bathe the room. Despite being six years old, the rooms were exceptionally modern with great amenities included. Aside from being surprisingly spacious with enough floor space to comfortably fit two people, the room comes with a vast bathroom, equipped with its own vanity table, standing shower, and bathtub. The level of detail that goes into designing the room should not go untouched as well as it’s the smaller nuances that give the room a unique character. 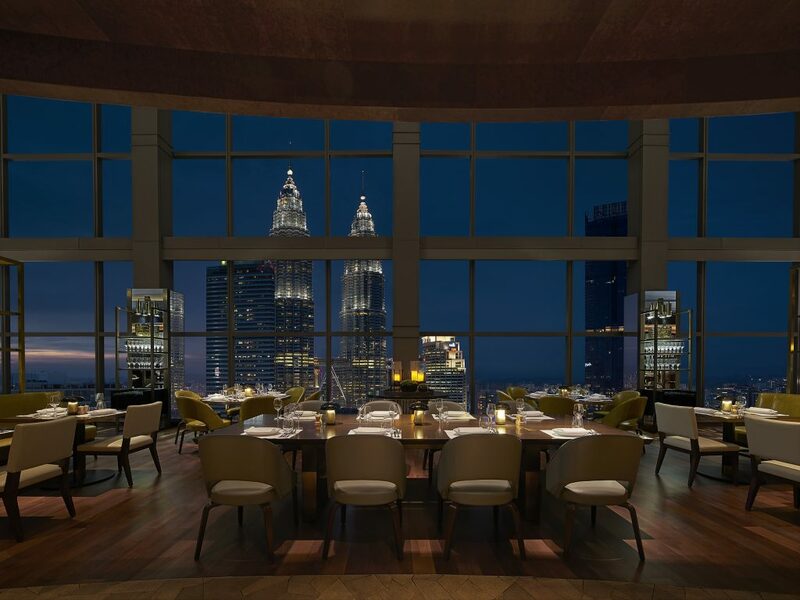 There are three main dining areas in Grand Hyatt Kuala Lumpur, mainly JP Teres, the Poolhouse, and of course its signature THIRTY8. JP Teres is located on the ground floor of the hotel and it focuses mostly on local cuisines like Chinese, Indian, and Malay. The newly renovated Poolhouse, on the other hand, is on the second floor, located right next to the hotel’s swimming pool and draws inspiration from a classic beach hut. And then there’s THIRTY8, arguably the crown jewel of Grand Hyatt Kuala Lumpur. Take a chance on the ‘High on Sugar’ afternoon high tea, which comes with a wide buffet spread. This ranges from the usual noodle station to the more elaborate dessert display, which takes centre stage at the buffet. The afternoon high tea is available every Saturday and Sunday at RM150 nett per adult and it gives you the freedom to choose what you would want to order — from salads to an assortment of dim sums, seafood, and even scones. But of course, the highlight of the meal would have to be its dessert section, which carries an assortment of sweet treats one can think of. Besides the usual cakes and tarts, there is also an ice cream sandwich bar to captivate your taste buds. 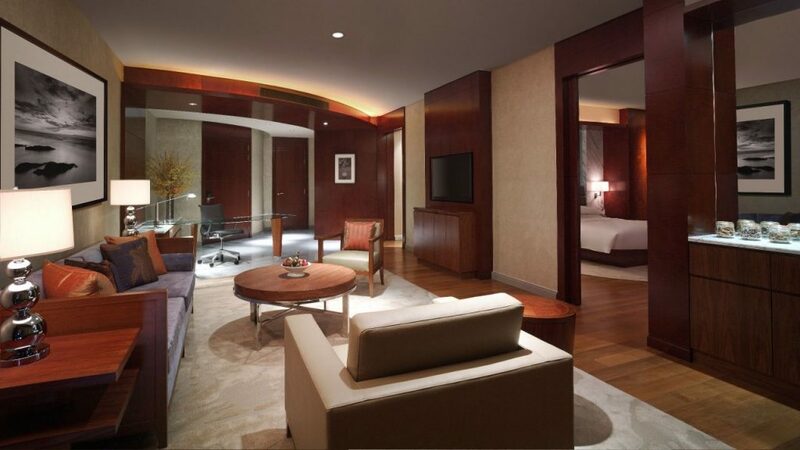 Being a five-star hotel, you can expect Grand Hyatt Kuala Lumpur to have top-notch amenities at its disposal. Its swimming pool, gym, and spa are all conveniently located on the second floor. You can easily head to the gym while the missus goes for a spa session. 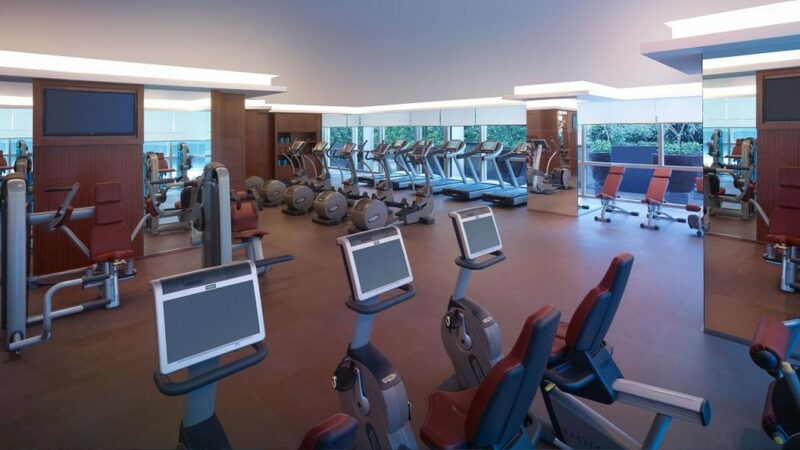 While the swimming pool closes after 10pm, the gym is open 24-hours for the guests who want to get in a late workout before bed. ESSA Spa is the in-house spa service offered by Grand Hyatt Kuala Lumpur and we got to pamper ourselves silly during our stay. ESSA Spa offers a wide variety of packages with its three highlights being the CALM, REVIVE, or RENEW spa package, aimed at rejuvenating oneself to the point of reaching nirvana. The CALM spa package focuses on de-stressing to achieve tranquil serenity; REVIVE attempts to uplift one’s well-being for instant energy; and RENEW assists in purifying yourself in order to discover natural beauty. Aside from its spa packages, ESSA Spa also offers numerous ESSA massage packages as well as body treatments, facials, manicures, and pedicures. 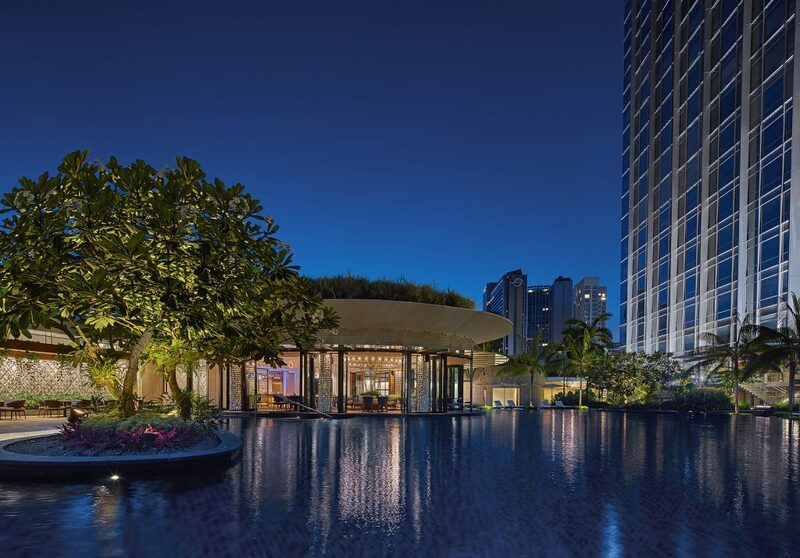 Grand Hyatt Kuala Lumpur requires no introduction or explanation as to why it should be one of your top choices if you’re planning for a weekend getaway. Even for international tourists, Grand Hyatt Kuala Lumpur is situated in the heart of town with everything within your reach. From the moment you walk in, to the time you walk out, your stay at Grand Hyatt Kuala Lumpur will be a comfortable one with unrivalled hospitality at your beck and call.